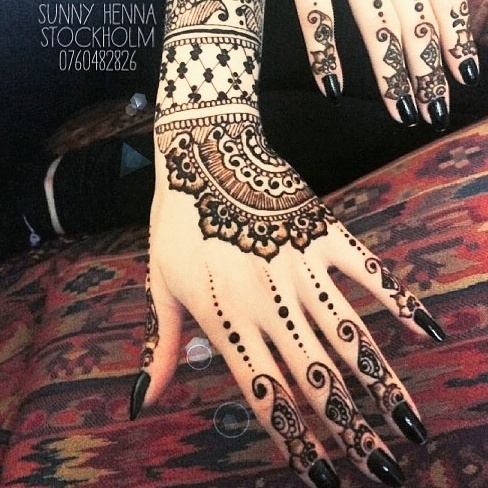 I'm a self taught henna artist working in Stockholm. 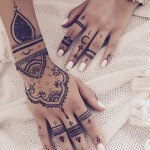 I strive to deliver unique and personal henna to my dear customers which will exceed their expectation and demands. I work free hand to give you a unique henna just for you. 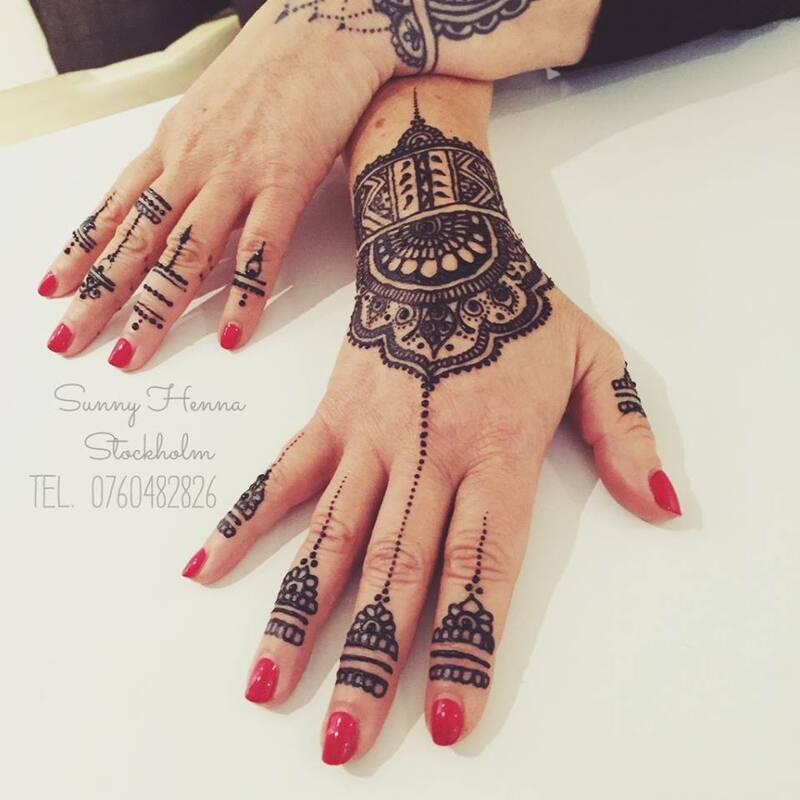 I work with natural, black, white henna and jagua. All without chemicals. For bigger groups or events, please send me a request. Also inform me of the number of people coming and the kind of henna you want me to deliver. 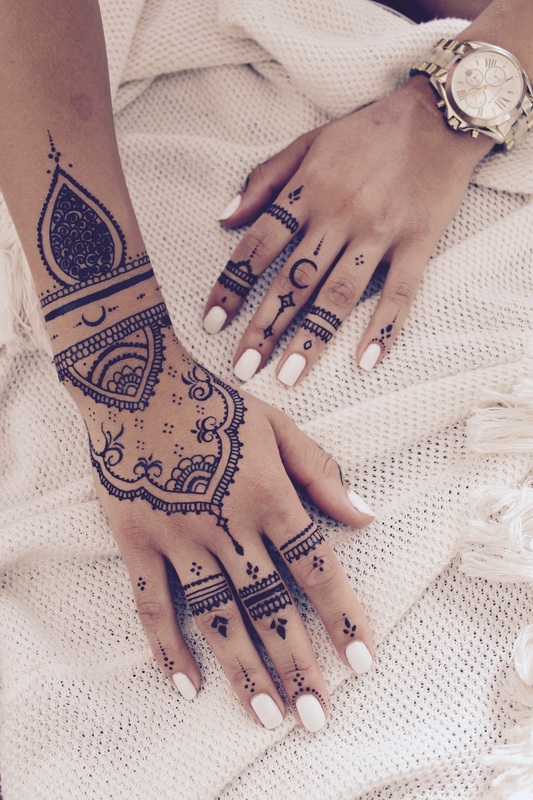 The price of a henna tattoo depends on the size and pattern. My standard price for a hand is usually from 200 SEK and above. If you're curious about the price of a particular henna please send me a picture and I'll give you correct price information. You pay per tattoo and not per time spent except upon agreement. Payment by cash or Swish. 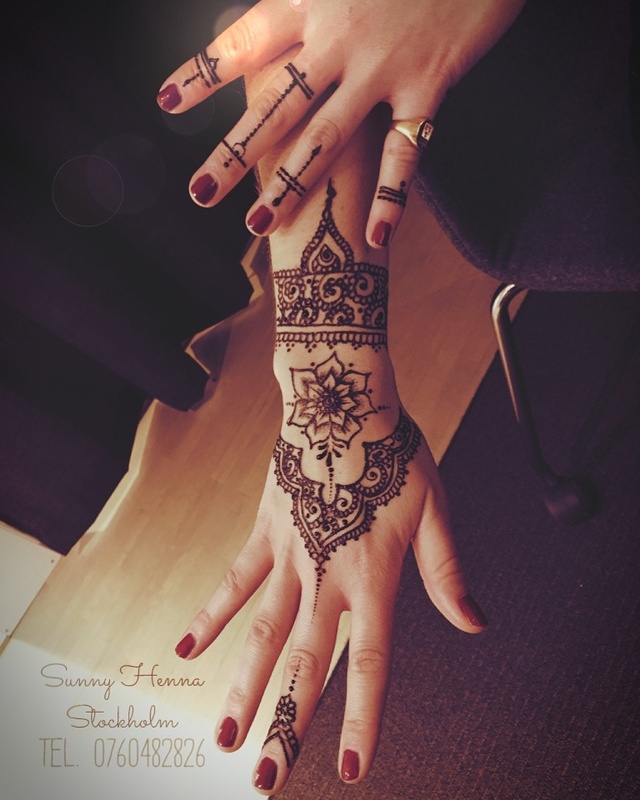 Check out the Gallery to see the price of other henna tattoos I made. Hover the mouse pointer over the picture and the price will show up. You could also hire me per hour and pay an hourly tax of 600 SEK. Perfect for events when you're unsure of the number of people attending. I will tattoo as many people I can manage during the time. Q. I want to book you, what's next? or call/SMS to 0760 48 28 26. 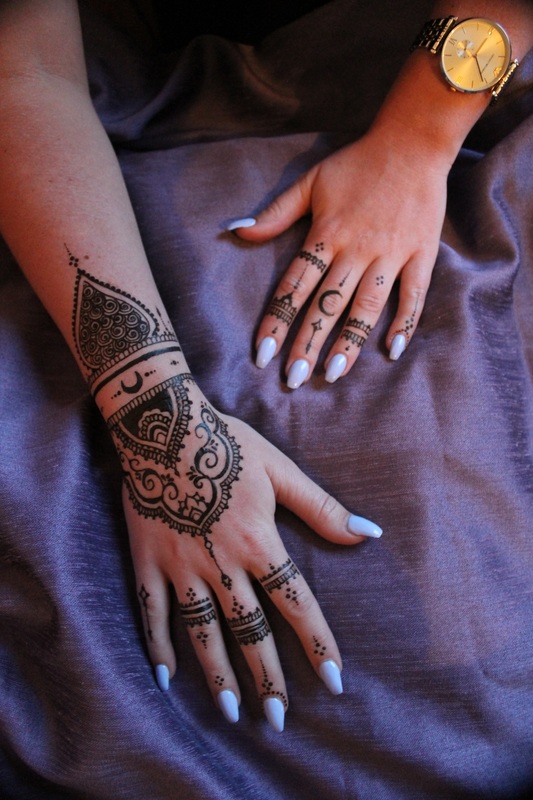 Upon request I appriciate if you also send me a picture of a similar design of your henna of choice. Then I can give you an exact price. I have natural, black and white henna available. All of them without toxids of course! Customers are welcome to my home close to Farsta C, Sthlm. Adress will be sent upon confirmation. I take an additional fee of 50 SEK for homevisits. In case of cancellation, please inform me 24 hours before appointed meeting. Q. I have booked, anything I need to think of? Please shave the area of the henna tattoo in case of hair growth. Want to cancel? Please inform me 24 hours before appointed meeting. Q. 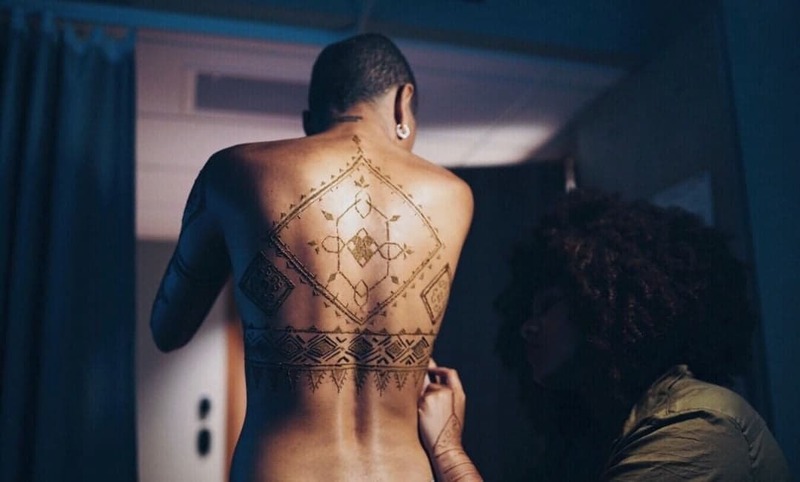 How long does the henna tattoo last? Natural: 1-3 weeks depending on placement. Henna on hands will last for approximately 7-10 days. And yes, you can shower as usual with your henna! However, avoid scrubbing to make it last longer.